Bookish Lifestyle: Take a #HomeRoadTrip with us this 4th of July weekend! 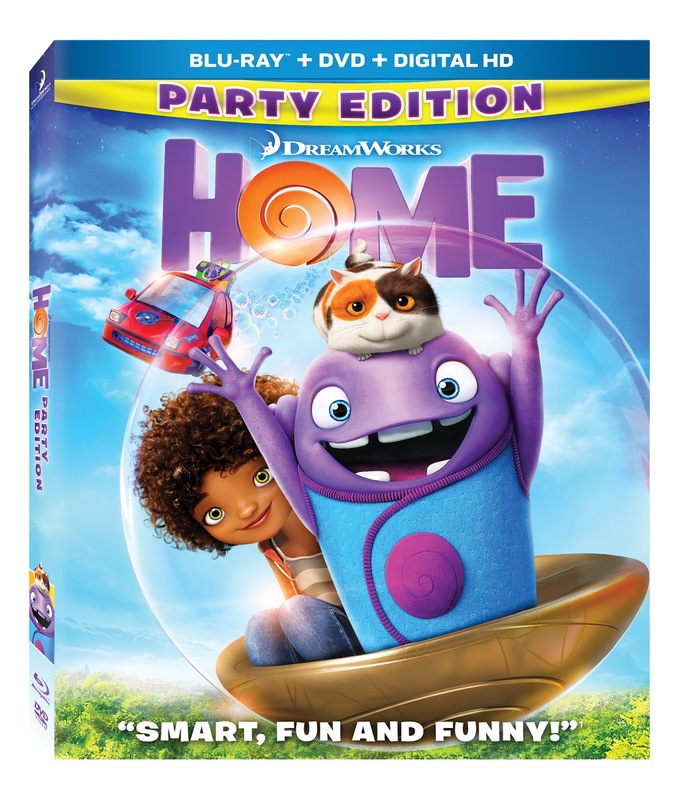 In case you've missed the amazing #HomeTwitterParty last week, I would like to remind you that Home is now available for purchase in Digital HD. An it's just the perfect movie to watch with your kids on your 4th of July trip - no matter where you're going! This year, we will be celebrating 4th of July together with my mother in law. We will all be spending an awesome weekend at Niagara Falls, enjoying the beautiful views, fun attractions, and - hopefully - catching the gorgeous fireworks (if Tori can stay up long enough, that is!). We plan to have a picnic in the Niagara Falls regional park, take a stroll at the Falls, maybe even try that ferry ride we always wanted to enjoy! It's going to be pretty awesome and we are all very excited and eager to get going! We will be leaving first thing tomorrow morning and while on the road, Tori will be watching HOME on our brand new iPad Air (thank you Fox Home Insiders!). We are all packed and ready to go (Tori helped with the packing!). 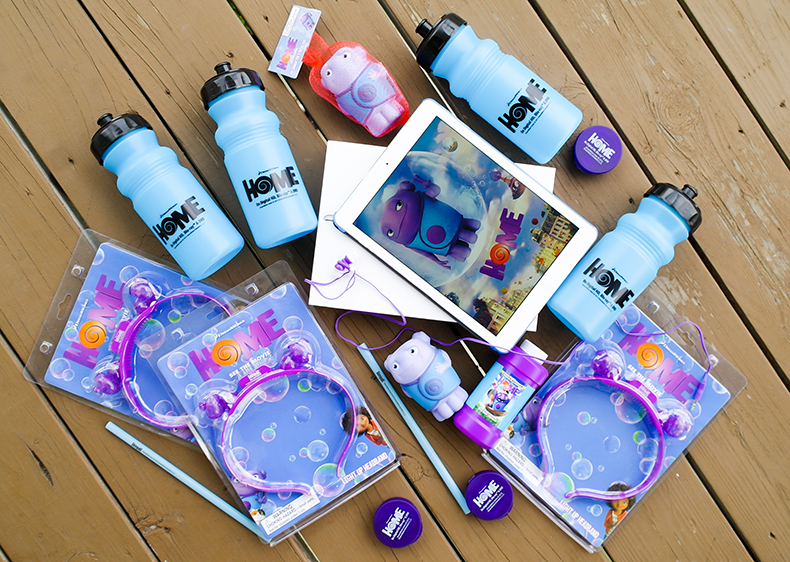 We have our Home Road Trip themed kit - including water bottles, cute stress toys (they're changing colors! ), earphones, bubbles and more. During our trip I will be sharing updates and pictures via Instagram and Twitter, so be sure to follow the #HOMERoadTrip hashtag to check out just how much fun we're having :) And don't forget to enter the Home Blu-Ray Giveaway I have going on the blog right now - you can have your own fun time with the Boov! 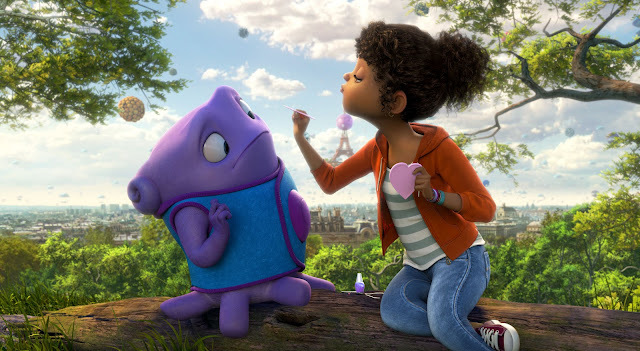 Don't forger: Home is now available for purchase on digital HD! Yo can buy it now on iTunes and on Google Play. You can take the BOOV on your own 4th of July trip this weekend! Home will be released on Blu-ray and DVD on July 28th. What will you be doing this 4th of July? !